Our company is highly rated in providing Black Bitumen Roll to the clients. 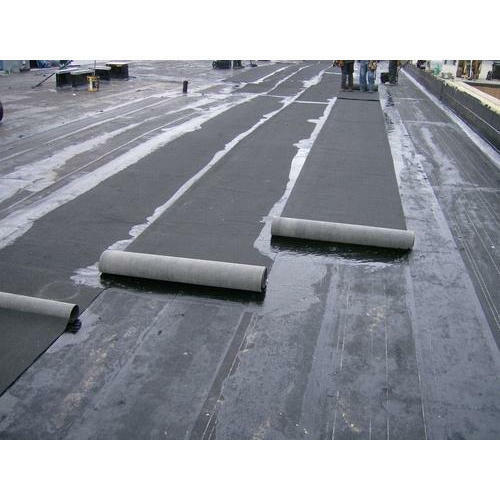 Black Bitumen Roll are widely used for anti-corrosive treatment and waterproofing applications. Offered range is highly recommended for high covering area, prominence and quality. These products are highly used for road surfacing, electrical products, roofing and waterproofing. Established in the year 2018, our organization CDO Impex Private Limited is engaged high-quality products to its customers. With our business offices based at Coimbatore, Tamil Nadu (India), we are operating our entire business activities as a Private limited based firm. We are one of the pioneer trader of a wide range of products such as Thermal Insulation Tile, Joint Sealant, Tile Fixing Adhesive, Water Stopper, Bitumen Roll, Terminator Wood Preservative, Liquid Bitumen Emulsion and many more. We are also the service provider of Waterproofing Service, Floor Coating, Floor Hardening Service and many more.